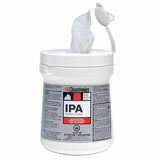 - Features ultra pure mixture of 70% IPA and 30% deionized water. - Features ultra pure mixture of 70% IPA and30% deionized water or 91% IPA and 9%deionized water. - High absorbency and liquid retention. - Strong, will not tear, shred, unravel or lint. - Holds up to the most rigorous scrubbing. - Cleans all soil types, removes organic and ionic soils. - Moderate evaporation rate increases cleaning power. 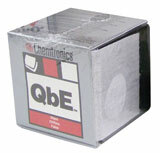 - Presaturated wipe great for toolbox or travel. - Complete Fiber Optic Cleaning System – No refills to buy or investment in expensive mechanisms to maintain. 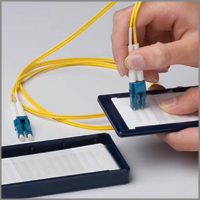 - Effective "Wet" or "Dry" Connector Cleaning – The only cleaning system that gives both options: For "Wet" cleaning use Electro-Wash® PX Fiber Optics Cleaner or blot connector on Electro-Wash® MX Presaturated wipe first. - Won’t shred or tear.